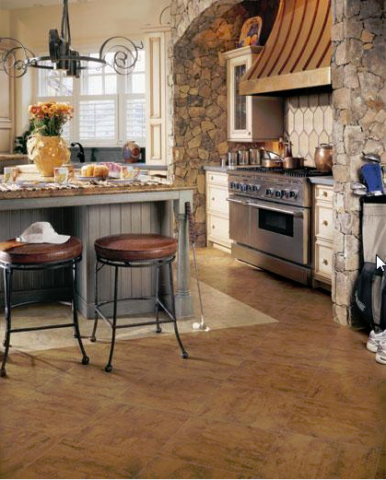 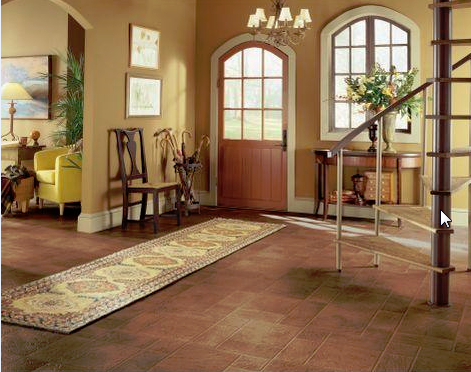 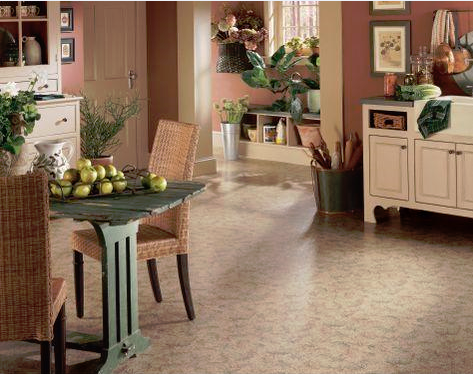 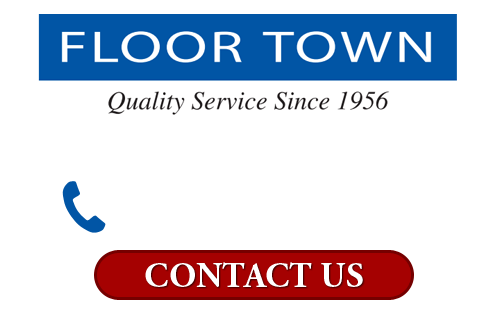 A growing trend in today’s residential flooring market is Luxury Vinyl flooring. 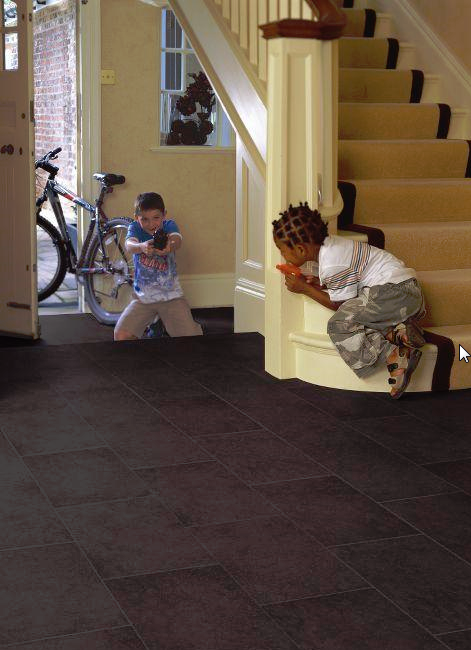 Easier to clean, more resistant to water, dents and scratches, and increasingly difficult to distinguish between other natural flooring products (like stone, ceramics and hardwood), Luxury Vinyl has become a valued choice for homeowners with children, pets and high traffic areas. Similar to Laminate, Luxury Vinyl is a man-made product consisting of several layers. 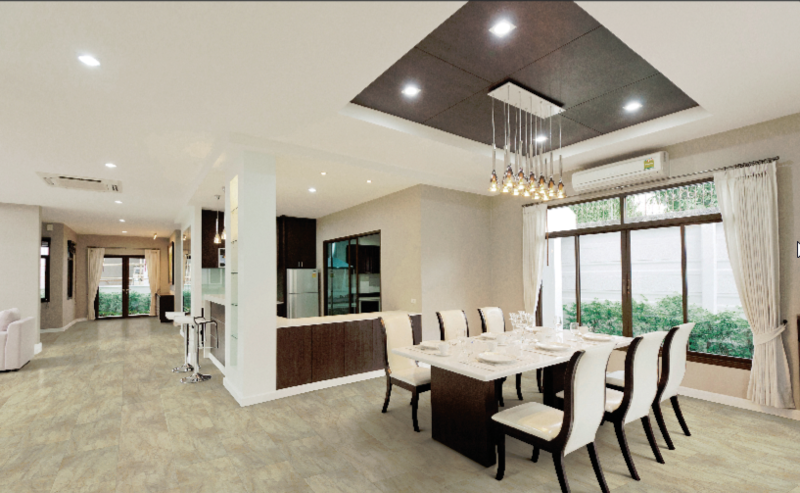 However, while Laminate’s core is made of high density fiberboard’s (giving it the added benefit of extra durability) Luxury Vinyl’s core is made from PVC vinyl – a component that gives it dimensional stability and flexibility while maintaining its durability. 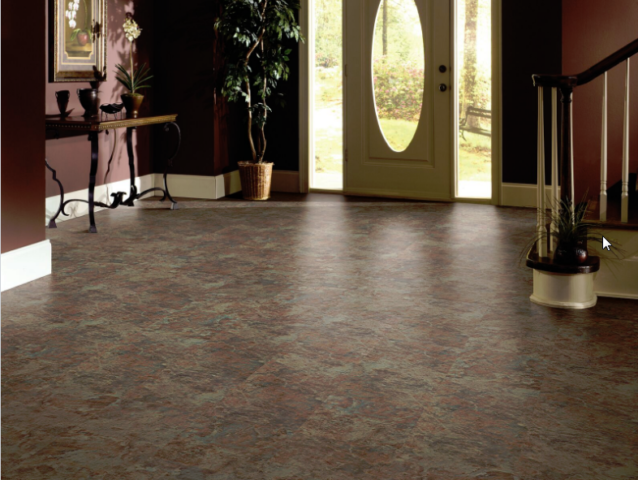 The second layer is the printed design layer that offers realistic ceramic or a stone visual. 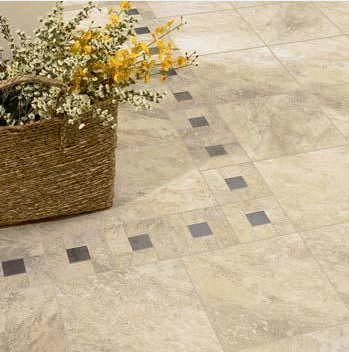 The bottom layer is the tile backing, which adds structural strength and durability. 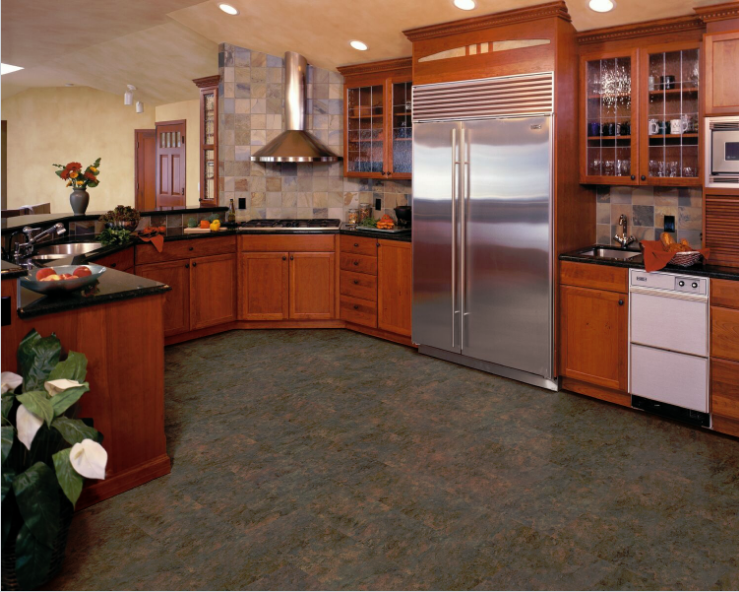 With the increased sophistication of modern technology, Luxury Vinyl Tiles are becoming more difficult to distinguish from natural stone or ceramics – complete with colors and surface textures that feel real. Luxury Vinyl Tiles can be installed either through a ‘glue down’ process, by individually peeling off the adhesive on the back and sticking the tile to the sub floor or, in cases where homeowners are looking for an even more natural look, with grout.